A top-quality education is an investment—in yourself, your family, your community, and your future. That investment, however, should still be an affordable one. 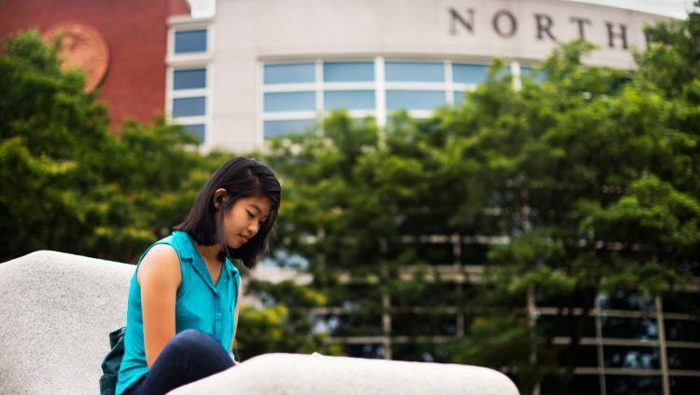 At Northeastern, we’re committed to providing an affordable education. Through scholarships, loans, and grants, we help lower the cost of your bachelor’s degree so you can move higher in your career. Tuition for College of Professional Studies‘ programs is affordable and attainable. Meaning, adult learners can earn a Northeastern degree, on a schedule and at a pace that meets their needs, at an affordable price. Course tuition for our programs is based on the number of semester hours in each class. Your total tuition due for the semester is dependent on the number of semester hours in which you’re enrolled. To calculate the cost of tuition for an individual class, multiply the total number of semester hours for the course by the cost per semester hour. Importantly, the cost per credit does not change based on how many courses you’re enrolled in, all credits follow the same cost structure. Note: Tuition is subject to revision by the president and Board of Trustees at any time. Full payment of tuition is due on the Saturday at the end of the first week of class. Electronic check and credit cards payments (MasterCard, Visa, American Express, and Discover accepted) can be made online via myNortheastern. For more information, you can visit the Northeastern Student Financial Services website. Student Center Fee — An $11 fee will be assessed per semester for all students enrolled at Northeastern’s Boston campus. This fee is for facilities and services at the Curry Student Center. Campus Recreation Fee — A $13 fee will be assessed per semester for all students enrolled at Northeastern’s Boston campus. The fee covers admission to home athletic events, use of the Marino Fitness Center, SquashBusters athletic facility, and the Cabot Gym. This fee also supports the future construction of athletic fields and facilities. Note: Additional fees may be required based on your status. Fees are also subject to revision by the president and Board of Trustees at any time.